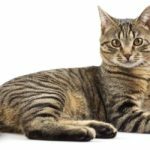 The Best Grain Free Cat Food - Which One To Choose, And Why? Many cat owners have a lot of questions about a grain free diet for cats and the best grain free cat food. 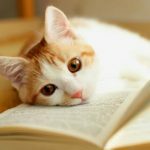 Questions like… what are my cat’s dietary needs? Is grain free cat food better? What are the best grain free cat food options? In this guide, we’ll answer these questions and recommend some of the best grain free cat foods currently available. 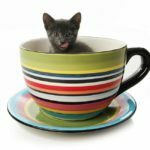 Why might you want a grain free cat? Cats are obligate carnivores, which means that they have to eat meat in order to obtain the essential nutrients that they need to survive. Examples are taurine, arginine, and retinol. While other species are able synthesize these nutrients themselves from plant matter, cats cannot. 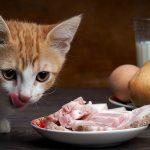 In fact, felines and their ancestors have relied on meat for their essential nutrients for so long, that that they have almost completely lost their inability to digest vegetation. Is grain free cat food better? To answer that, let’s look at the nutritional profile of cat food. Macronutrients are substances that an organism needs in large quantities to survive. The three primary macronutrients are protein, fat, and carbohydrates. Macronutrients are generally thought of in the context of the portion of total daily calories that come from each macronutrient. In an ideal diet, at least 35% – 45% of a cat’s food should be made up of protein, 15 % – 20% of your cat’s food should be fats, and there should be minimal carbohydrates. In fact in the wild, cats’ diet contain 50% – 60% protein and 30% – 50% fat. This type of diet helps cats manage a healthy weight and prevents health problems like diabetes, liver disease, and renal disease. As your cat ages, choosing a high protein diet also prevents loss of muscle mass. However, it’s important to note that these percentages won’t necessarily be what you see on the label of your grain free cat food, especially in grain free wet cat food which has a very high moisture content. That doesn’t mean you should avoid grain free wet cat food, though; moisture is also essential for your cat’s health and wellbeing. Instead, make sure that the protein content is 2 to 2.5 times the fat content and that the carbohydrate content is as low as possible. Because of cats’ high protein requirements and lack of necessity for carbs, there is a lot of buzz around grain free cat foods. Many people assume that because these foods lack grain, they are low in carbs and high in protein. However, this isn’t the whole story. While grain free cat food doesn’t contain corn, wheat, or other grains, many grain free cat foods contain alternative carbohydrate sources. Grain free dry cat food is particularly likely to surprise you, because dry cat food needs a carbohydrate so that the food can properly clump. Ingredient lists may contain things like potatoes, pumpkin, squash, peas, lentils, carrots, and apples. While these are healthy and delicious options for humans, they are too high in carbs and sugar for our feline friends. Grain free wet cat food is more likely to be a high protein grain free cat food, and pate-style grain free wet cat food generally contains more protein than chunks-in-gravy style grain free wet cat food. It’s true that cats need much more fat in their diet than we do to stay healthy. However, grain free wet foods sometimes use extra fat as a substitute for carbohydrates rather than extra protein. This makes the food’s smell, taste, and texture more enticing to cats, and it’s hard to imagine there’s not a financial advantage for the manufacturer too. BUT, in cats it is too much fat and not too many carbs which can lead to obesity. Check the nutrition facts on the label to make sure you’re selecting a grain free low carb cat food that is also moderate in fat. Portion size is important too – if the food’s packaging doesn’t give clear guidance about how much to serve, ask your vet for advice at the next check up. All that said, that doesn’t mean there isn’t any advantage to a grain free diet for cats. 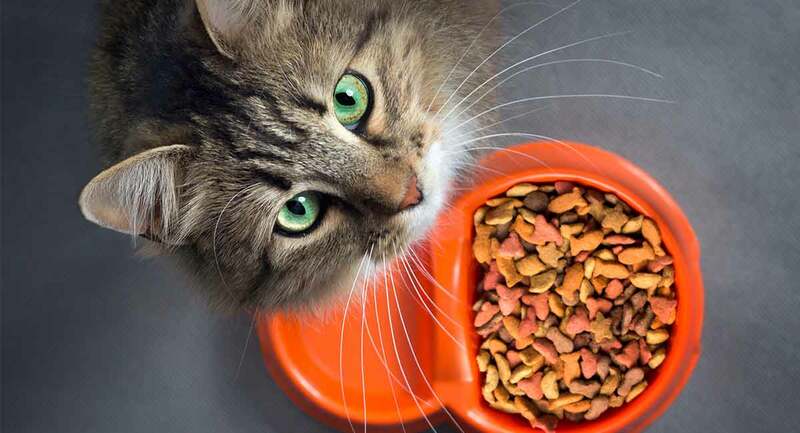 Studies have shown that while there is significant overlap in carbohydrate levels in non-grain free and grain free cat food, grain free cat food, on average, is lower in carbohydrates than cat food that contains grains. In other words, some grain free cat foods are in fact higher in carbs than some non-grain free cat foods, but finding a high protein grain free cat food is easier than finding a high protein cat food with grains. Grain free cat foods are of course also great if your cat has a grain allergy! 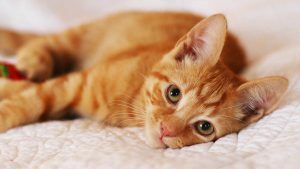 Grain allergies in cats are less common than food allergies to animal products like chicken, eggs, milk, and dairy, but they do occur. What about natural or organic grain free cat food? “Natural” and “organic” are popular buzzwords for both human and animal products, and organic grain free cat food is no exception. As you can see, the requirements to label cat food as natural grain free cat food are only marginally higher than those to label it as just a grain free cat food. “Organic” carries a bit more meaning. To be labeled organic, pet foods must meet the same requirements that the USDA holds for organic human foods through the National Organic Program (NOP). Again, that doesn’t necessarily mean that organic grain free cat food is safer or healthier than non-organic food. These words are also sometimes used to refer to specific ingredients, like “natural chicken flavor” or “organic beef,” when these ingredients are the only ones in the food that meet the qualification. Now that we’ve talked about the advantages and disadvantages of a grain free diet for cats, let’s go over some recommendations for the best grain free cat food. 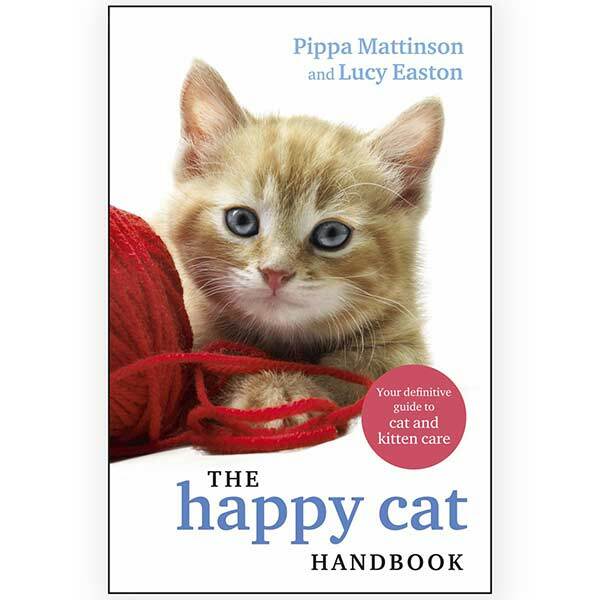 Every cat – and every budget – is different, so there are recommendations each for wet and dry food. Use these recommendations to help choose the best grain free cat food for your cat and your wallet. For many cat owners, dry food is purse friendly, practical, and popular with their pet. If that’s you too, take a look at these high protein, grain free cats foods. This first grain free dry cat food knocks it out of the park with protein. It’s comprised of at least 47 percent protein and 17 percent fat, with no more than 3 percent carbohydrates. This grain free dry cat food isn’t quite as protein rich, but still has very healthy macronutrient levels. It’s comprised of a minimum of 40 percent protein and 18 percent carbs, and a maximum of 4 percent carbs. Purina are big hitters in the pet food business, but you might not know about their “Beyond” range of grain free recipes yet. This kibble comes in two flavors: chicken and egg, and ocean white fish and egg. Taste of the Wild are a massively popular wild-inspired cat food brand. Cats and owners alike seem more than happy with this grain free diet for cats, which comes in venison and salmon or trout and salmon flavors. 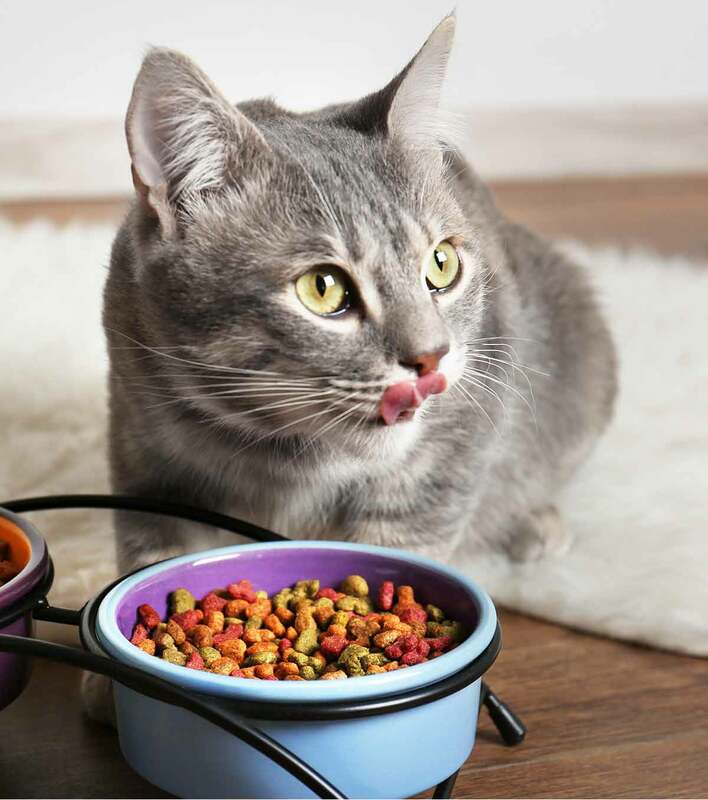 Dry foods aren’t the only cat diets going grain free – there are some top quality grain free canned cat food choices out there too. This grain free wet cat food is another protein all star, especially for a wet food. It’s made up of at least 12 percent protein and 5 percent fat, and at most just 1 percent carbohydrates! This grain free canned cat food is very low in fat, making it a great choice for cats that need to watch their weight. It’s at least 9 percent protein and 3 percent fat, and is at most 3 percent carbohydrates. Whether you’re introducing your feline to grain free cat food in his twilight years, or looking to the future for an adult cat who’s already grain free, these grain free diets for senior cats will fit the bill. This cat food is specially formulated with added vitamin and minerals for cats over seven years old, and comes in several bag sizes. Many older cats start to struggle with hard foods as their teeth age. At this stage in their life, easily palatable wet food are often easier to eat. Despite this, and despite the vast array of cat food choices generally competing for your buck, at the time of writing there aren’t actually very many grain free senior cat foods in tins or pouches. This tinned grain freed food has a texture that seems to be hit and miss among feline diners, but it’s nutritional credentials are sound, so it’s certainly worth a try! Very few cats will ever suffer adverse side effects from grains in their diet. However, cat’s aren’t adapted to digested grains, which means they can’t take any energy or nutrients from them either. Going grain free can be a great way to make sure your cat is eating a balanced diet with healthy levels protein, fats, and carbs. But it isn’t as simple as checking for “grain free” on the packaging. Look for foods with 2 – 2.5 times as much as protein as fat, and check for other carbohydrate sources too (bear in mind dry foods have to have some carbs to bind them). If you ever have questions or concerns about your cat’s diet or a particular cat food, be sure to consult with your vet. Your vet can also help you transition your cat onto a grain free diet gently, so as not to cause digestive distress. Does your cat have a favorite grain free cat food? We hope this article has been interesting, and given you some delicious dinner time ideas! Does your cat have a favorite grain free supper that we’ve missed? Please share it with us in the comments box! Hewson-Hughes, A. “Balancing macronutrient intake in a mammalian carnivore: disentangling the influences of flavour and nutrition.” Royal Society Open Science, 2016. Zoran, D., “The Carnivore Connection to Nutrition in Cats”, JAVMA, 2002. Prantil, L. et al. “Comparison of carbohydrate content between grain-containing and grain-free dry cat diets and between reported and calculated carbohydrate values.” Journal of Feline Medicine and Surgery, 2017. Villaverde, C. & A. Fascetti. “Macronutrients in feline health.” Veterinary Clinics: Small Animal Practice, 2014.